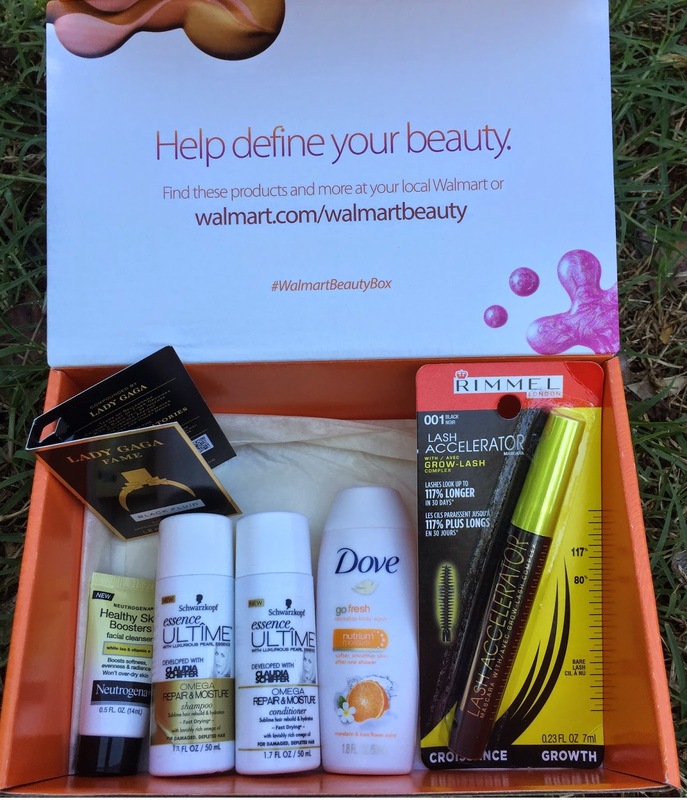 Sometime in late March, I received my Spring 2015 Walmart Beauty Box. The Walmart Beauty Box comes out 4 times a year and costs $5, which includes shipping. Beauty boxes are just plain fun.... especially if you are a product junkie like me. I am currently only subscribed to Glossybox and was glad to add this low-priced box to the mix. I also purchase the Target Beauty Box when it is available (it always a one-time purchase box). My Spring 2015 box was better than my Winter 2014 box..... after I got that box which was full of sample packets and not much else, I read that there are two boxes and the one I received was intended for their more mature audience. I *did* just turn 41, but I still like color cosmetics, so I adjusted my birthdate down 15 years or so after getting the Winter box to see if I would get the younger box for the next shipment. I'm glad I did because this time I got a makeup item. I do think $5 is a great price to try so many new products. There were also sample packets and coupons included. I love having travel sizes on-hand of cleansers and shampoo and conditioner. So nice when you are just going away for a day or two. This box was MUCH better than the Winter 2014 box for me!